A new initiative has been introduced in Albury and Wodonga to encourage and engage the Bhutanese community to get involved in netball. 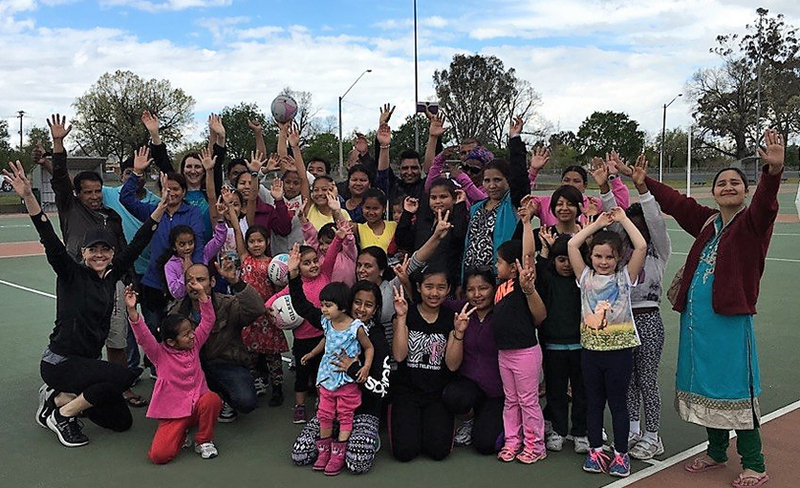 The Confident Girls Foundation, Netball Victoria, and local netball associations are working together to use netball as a tool to help break down cultural barriers experienced by the Bhutanese community. This initiative focuses on empowering the individual, building confidence, and providing all with the opportunity to be an important member of a team and the community through their involvement in netball. The project is delivering many different activities to increase awareness and promote participation in netball for girls and women of all ages within the Bhutanese community. These activities include, ‘Come and Try sessions’, supporting an Inclusion NetSetGO program, running workshops to help connect the Bhutanese community with clubs and associations and covering registration fees and uniform for teenagers and adult members.